*Need help to support photo journalist Gudimalla Bharath Bhushan meet medical expenses* Gudimalla Bharath Bhushan, photo journalist and artist popular for his work on telangana rural life and bathukamma festival, is in MICU MaxCure Mediciti hospital for treatment. 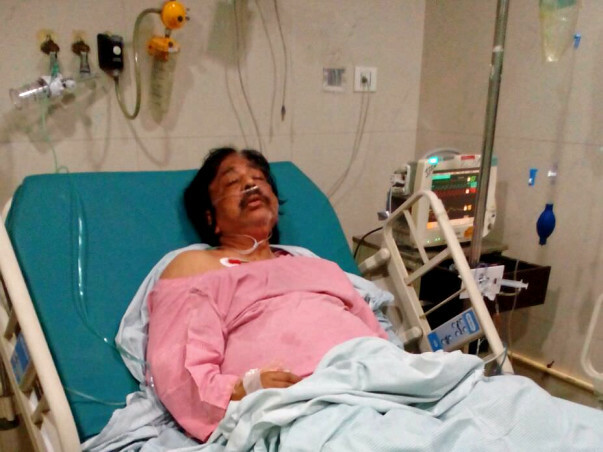 He was admitted on 28 October Sunday afternoon for problem of deteriorating kidney functioning, high sugar, severe urinary infection. He is diagnosed with multiple problems and mild heart attack. He is improving, but would need further tests, observation, and treatment, which requires a week or so in the hospital. The hospital bills and medicines and other expenses for a month after discharge from hospital may cost around Rs 7 lakh. 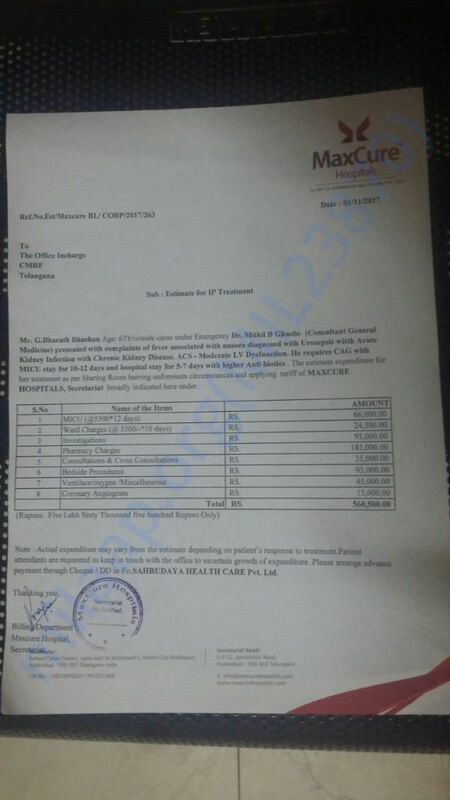 Hospital gave an estimate of Rs 5.6 lakhs towards ICU, diagnosis tests and other costs at the hospital. Family has managed to raise hand loans and help from friends and state government for about Rs 2 lakhs. He is accredited journalist, receipient of Telangana state first anniversary State Award for Photojournalist on 2 June 2015 from honorable Chief Minister. Get well soon ! All the best !